The body of Seamus Gowon, the proprietor of the Royal Walbert theatre, one of the oldest theatres in the British Isles, has been discovered. The suspects have been detained and the murderer or murderers must be found for this most brutal of murders. Celebrities are gathered to commemorate the 10th anniversary of the launch of Celestial TV. Media mogul Rupert Burdock, the brains behind Celestial TV, is brutally murdered having been pushed off the 1st floor balcony at the restaurant where the celebrations are taking place . Your detective skills will be tested to the limit as we investigate this most heinous of crimes! "That was Fantastic! 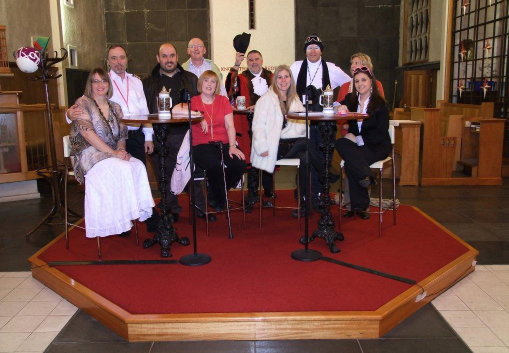 All the people that we brought along Really Really enjoyed themselves... Well done, fab evening!" It is 19th Century Transylvania. A full moon shines on the night of All Hallows Eve. Deep in the forest a young woman is found gruesomely murdered. Has the centuries old curse of Castle Dracula struck again or is there a less supernatural reason for her death? It is up to you to find out! 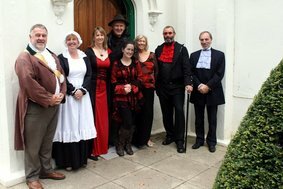 "Excellent performance at Milntown, it was obvious that many months of preparation had gone into it, lots of attention to detail. Fabulous night!" It is troubled times in the last days of the Indian Raj as India seeks independence from British rule. You are cordially invited to "Dunshootin" the regimental home of Colonel Hilary Ponsonby-Smythe in Maribar, India to celebrate the 21st birthday of the Colonel's daughter Jessica. Shortly before the birthday celebrations commence, Lieutenant Arthur Chance a junior officer in the Colonel's regiment is found brutally murdered on the croquet lawn, lying face down in a pool of blood. "As always you entertained, baffled and bamboozled us as we were challenged to work out the dastardly deed. Out grateful thanks to the WASP team for putting on such a great evening of entertainment." Shortly after take-off on Trollop Airlines Trans-Atlantic KonKorde flight one of the first class VIP passengers is murdered at 50,000 feet during the post take off drinks reception! ​"It was one of the best nights I have had in a long time, cannot wait for the next one. Good luck in all you do! You are all true STARS!" ﻿﻿The feast of Saint Quilliam is meant to be a joyous occasion, however the Lord of the Manor is looking decidedly less happy, with an arrow shot through his eye. Can the culprit be identified and brought to justice? 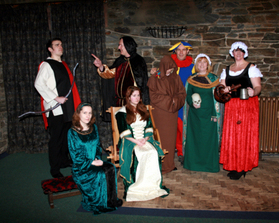 For this performance, the actors were joined by members of the Lothene Medieval Re-enactment Society. Roger Fairlawn, President of the Fairlawn’s Tennis Club, invites you to the Annual Tennis Club Dinner and Prize Presentation. Unfortunately his body has been found lying in a pool of blood outside the clubhouse! 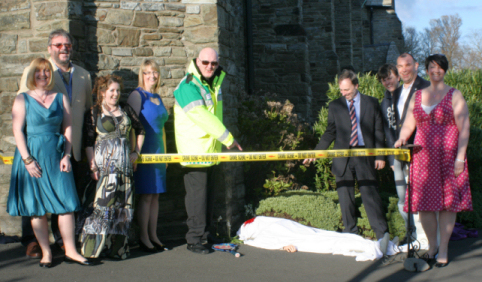 Can you work out who committed the dastardly act? "We had some great feedback and a really great night was had by all. The guests were really enthusiastic and their participation added to the fun. 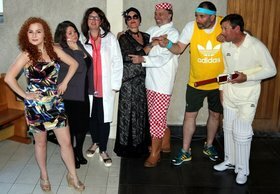 We would also like to thank everyone who took part and WASP Productions for putting on a brilliant show." Richard Pickle, successful businessman and socialite left his chalet early in this morning, for his usual morning ski run. Unfortunately whilst skiing past a large snowman it exploded, throwing him in the air and killing him immediately! It is up to you to discover who the murderer is! The owner of an Italian restaurant, Giuseppe “Pepi” Roni, has been shot in the back and killed. There are a number of suspects who may have had a motive to kill him. With the assistance of Detective Antonio Telastori, it is up to you to find out who committed the murder. ​"The best Saturday night out I've had in ages"
"So different from the norm...when is the next one"
"Great cast, great costumes, great script....when can we have another"